.Net developers, are you looking to move on to bigger and better projects with some of the nation's top companies? Let Vaco serve as your advocate in presenting you to clients who are looking for .Net Software Engineers. Our recruiting staff gives you an advantage over your competition by promoting your strengths and assets directly to hiring managers while helping you to be more prepared for your interviews. As a .Net Software Engineer, you will help to develop products which enable customers to streamline activities across search engines, comparison shopping sites and online marketplaces. You will work with a team of peers who are smart, professional, pull their own weight, and share a passion for what they're creating. As a premier talent solutions firm, Vaco connects people to their dream jobs and helps leading companies find talent to grow their businesses. Vaco's recruiting teams are made up of senior-level industry veterans who understand what a successful placement looks and feels like, on both sides of the desk. And they’re here for the long haul, committed to building long-term relationships. 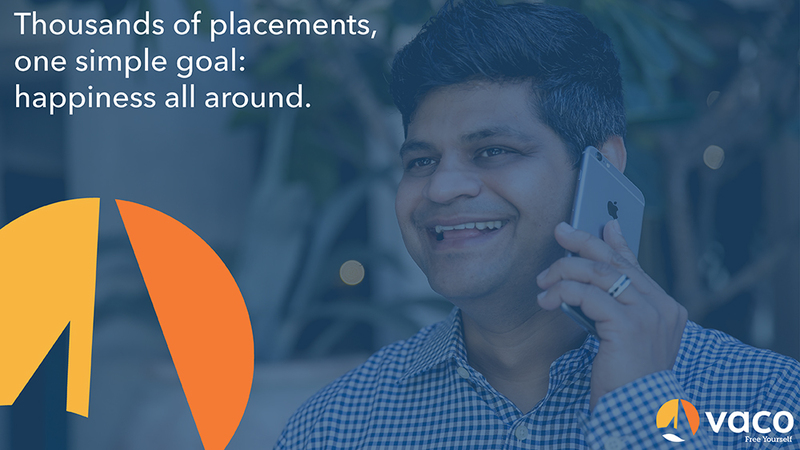 By applying to a Vaco job, you are joining a network of well-connected, technical experts backed by more than 700 recruiters in over 35 markets around the world. Vaco is dedicated to developing long-term relationships, life-long careers and creative client solutions. For more about Vaco, visit vaco.com. Thanks for applying for the position of Senior Software Engineer (Microsoft Stack) with Vaco Technology through Dice.